Many researchers and policymakers have hypothesized that funding models tying grant payments to achieved and verified results - next generation financing models - offer an opportunity for global health funders to push forward their strategic interests and accelerate the impact of their investments. This brief, summarizing the conclusions of a CGD working group on the topic, outlines concrete steps global health funders can take to change the basis of payment of their grants from expenses (inputs) to outputs, outcomes, or impact. 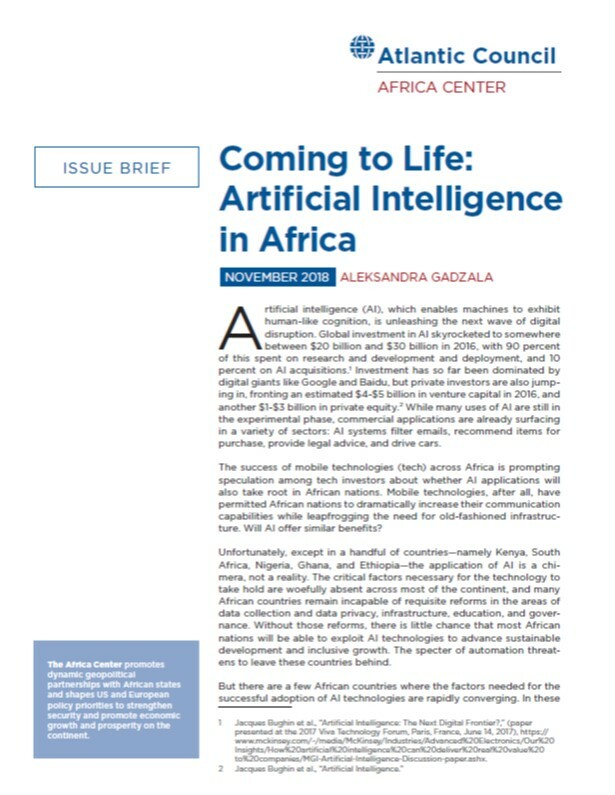 While the report focuses primarily on how the Global Fund to Fight AIDS, Tuberculosis and Malaria can make this shift, this brief offers insights for other global health funders looking to address their strategic objectives, increase the efficiency and effectiveness of their investments, and increase their health impact for the populations they serve. 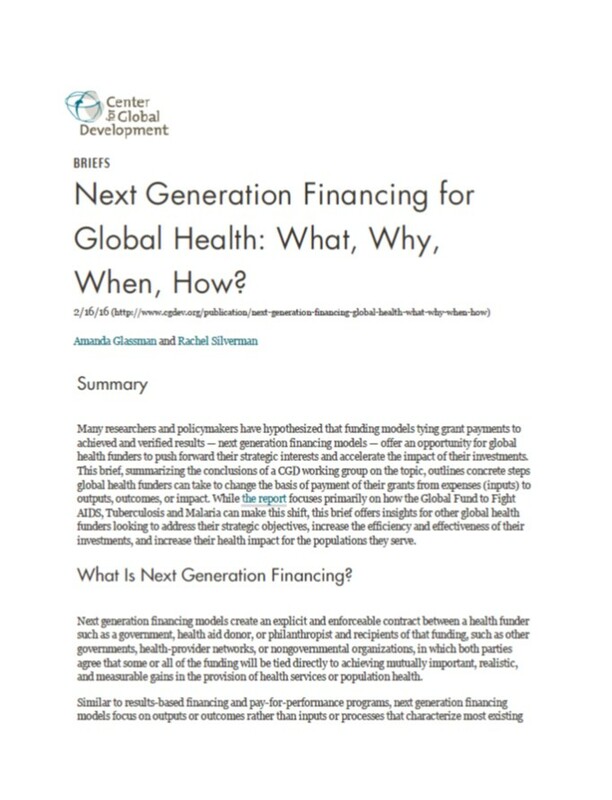 Read more about Next Generation Financing for Global Health: What, Why, When, How?